There are two types of people at the 6th Annual Turner Classic Movies Film Festival. Those who are happy to be here and those who are thrilled. 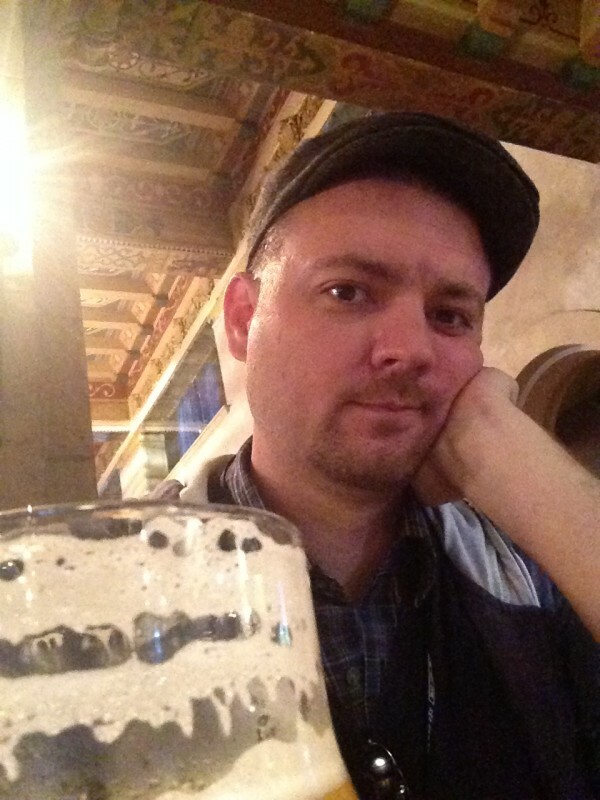 A digression to complain about travel, because I paid the airfare. 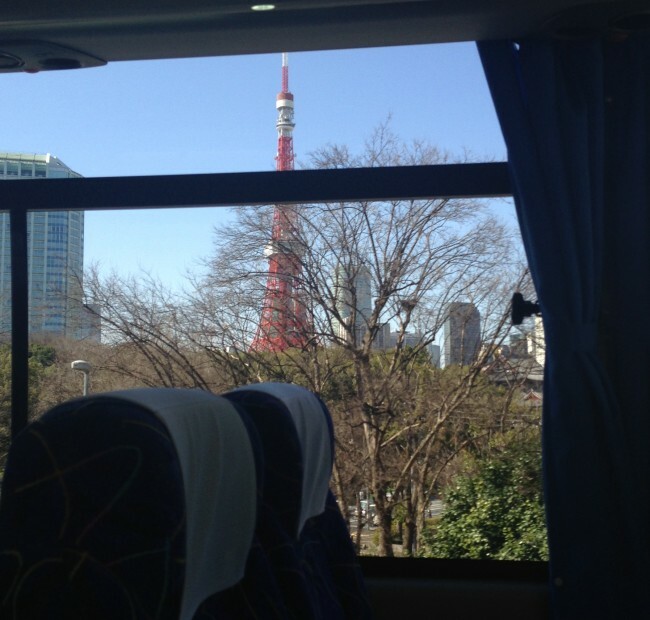 The view of Tokyo Tower as my bus made its way to Narita Airport. The flight from Tokyo wasn’t the worst time I’ve had on an international flight, though that’s not necessarily a high bar to jump over. For the nine hour flight from Narita airport to LAX, I was bound and determined to sleep the entire time as an inoculation to jet lag. I took a few melatonin, downed one last Asahi, and just as the plane had taken off, I began to drift away. Then the lights came on for dinner and two hours of food service. Then, through magic and luck, I was on a flight with 100 students from a high school who all believed that 9 hours in a small confined tin tube flying through the sky (as Patton Oswalt noted, in defiance of God himself) was the perfect time to basically run around and argue loudly. I managed an hour of sleep somewhere in there before, as it is a weird constant in my life, a doctor was called for by the crew for medical help. I am not a doctor. I am an American who lives in Japan and is quite used to more-often-than not extraordinarily polite Japanese people. Americans are different. I don’t suppose that surprises you, but the contrasts put me off since I rarely get to see them in full force. There were a few total dicks on the plane. I’ll spare you more details than that but I do wish kicking people in the knees and running away was an option like it may have been on a cruise ship at one point in time. My celebratory arrival drink at the Roosevelt as well as my stunning realization that, despite having lived around both San Francisco and Tokyo, that LA prices are something else. I caught the shuttle from LAX and headed to Hollywood & Vine. My first taste of LA was knowing that their roads are just bad as those up in the Bay Area. I also learned that when people tell you that Hollywood Boulevard is a dump, they’re not exaggerating, and, may, in fact, be underselling it. If I was starring in a fish out of water comedy (and I’m not saying I’m not), a simple smash cut between Shibuya and that famous street would probably encapsulate it extraordinarily well. The writer could probably call it a day after that, to be honest. 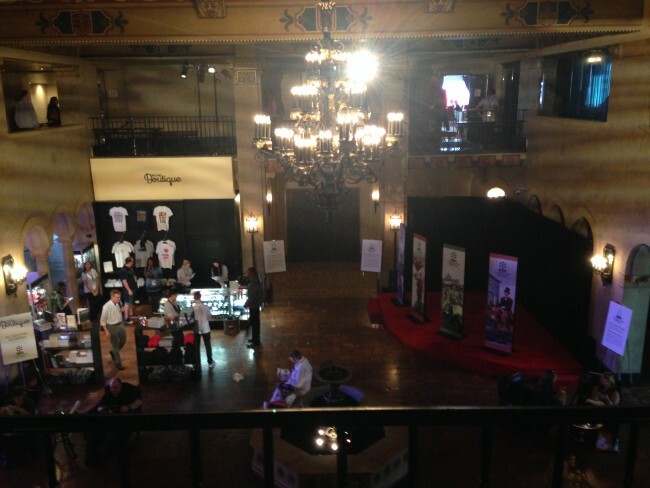 The Roosevelt Hotel’s lobby area from the balcony. The TCM Boutique sells festival related items such as books by appearing stars, mugs, magnets, and t-shirts. No bobble headed Robert Osbournes, though. 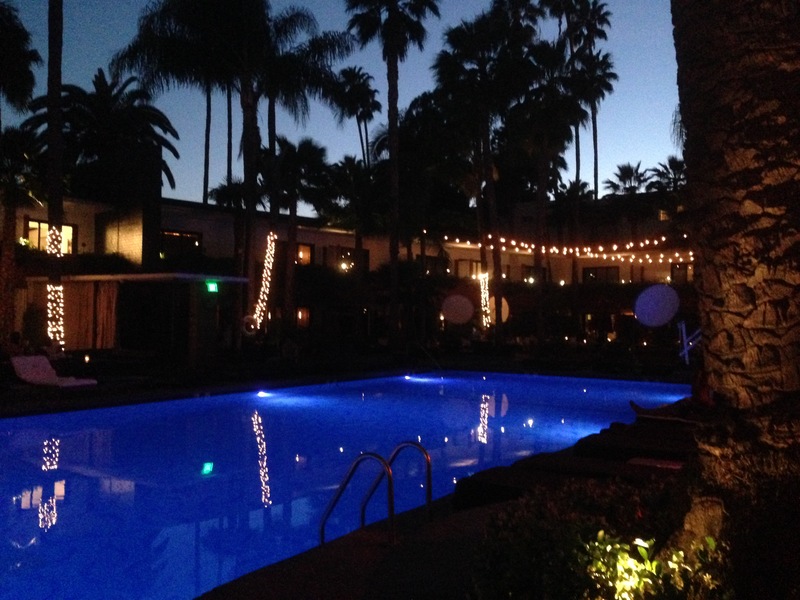 The walk down Hollywood Boulevard, and the many fascinating smells that entailed, led me to the Roosevelt Hotel. 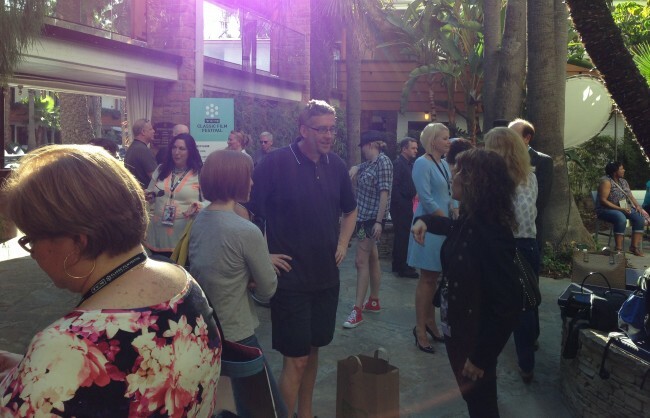 I was excited to attend a meetup of the CMBA, though that only wound up being one person– I was lucky, though, as that one person was Marsha, the head of the board of governors. I’ve never quite experienced anything like a succession events outlined above that led directly to me sitting in the lobby of a hotel talking about the criteria for a blogathon, but, hey, that’s life. I also ran into Raquel, and she got to see me slur words and stumble a bit. I also shook the hand of her husband, who comes across a James Bond type on his blog, and the reputation is wholly deserved. 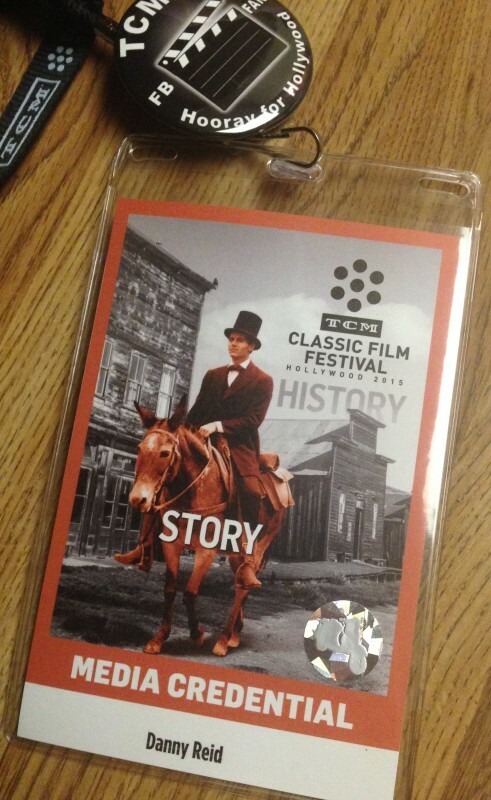 My media credentials, in case you wondered if I was wearing a picture of Henry Fonda on a horse all weekend long. How many times have you been before? Where can I get a drink around here? What do you mean, the Club TCM drinks are complimentary? Admittedly, the last two are mostly confined to myself, but there are other enlightened souls who knew that in a town where a draft Angry Orchard apparently costs $11, a free drink is maybe the biggest reason to celebrate of all. That fourth question I listed above was also on everyone’s lips. The festival had moved towards more modern movies for the year, hoping to achieve more of a cross appeal with pictures like Apollo 13, Malcolm X, and Raiders of the Lost Ark taking up big slots. This has be understandably controversial for a lot of people whose definition of a classic film begins at ‘black and white’ and ends at 1967 for the most part. I have no problem with it, but it was interesting listening to people argue about it, whether they were frustrated with uninspired selections or just worrying that their favorite channel, which recently showed the Lord of the Rings trilogy back-to-back, may be shifting uncomfortably towards something they don’t like. 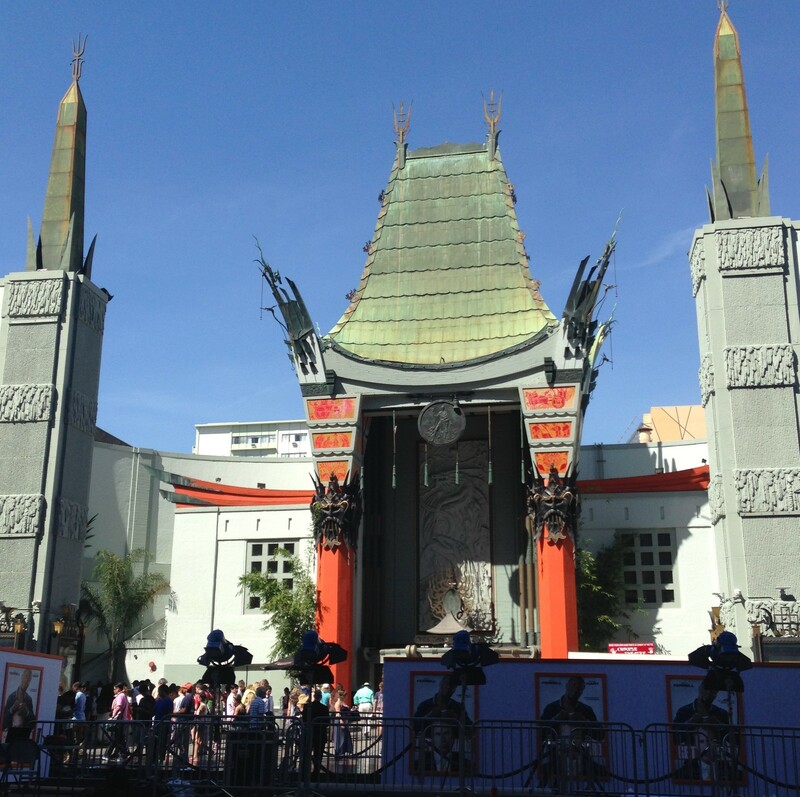 A crowd gathers for the ‘Going to the TCM Film Festival!’ event. But, luckily, there were still reasons to celebrate even for the skeptical. 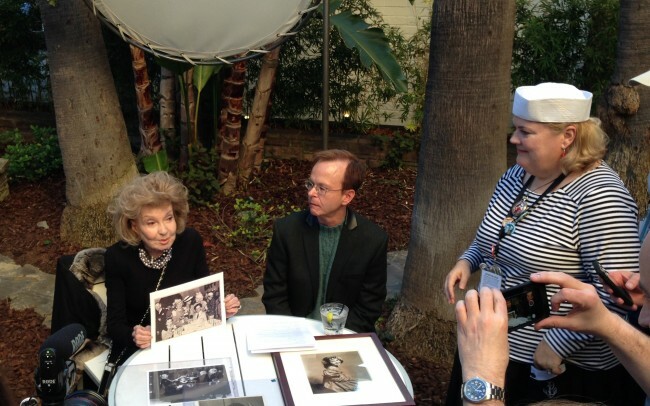 I joined the “Going to the TCM Film Festival!” Facebook group a week before the festival’s official start and hit pay dirt: since the official TCMFF festivities didn’t kick off until Thursday, Kelly, who runs the group, arranged with a friend of child film star Cora Sue Collins to make an appearance and give a brief talk. Collins, who’s quickly approaching her 90s, was under an MGM contract for much of the time that this site covers, and was often called upon to play younger versions of big stars. She’s the young Queen Christina in the film of the same name, the young Zita Johansen in The Sin of Nora Moran, or the young Norma Shearer in Smilin’ Through. 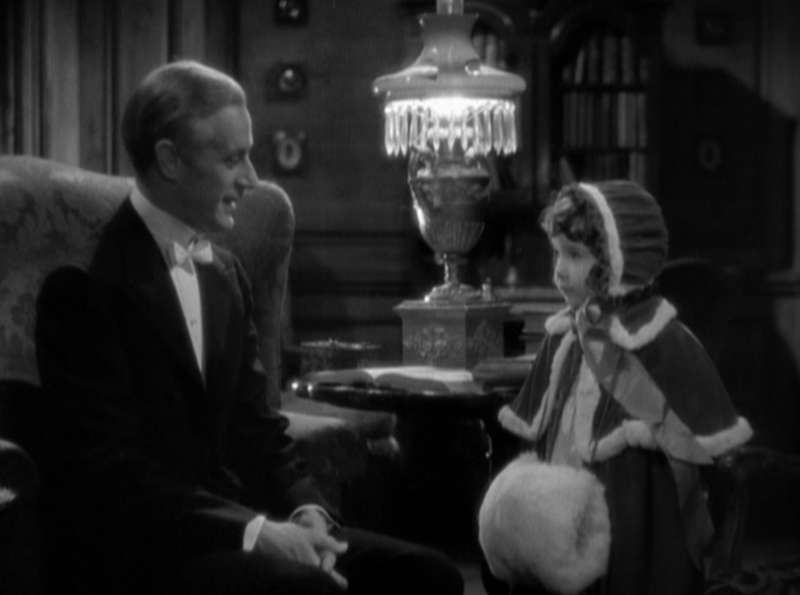 Cora Sue Collins with Leslie Howard from Smilin’ Through (1932). She also played Claudette Colbert’s daughter in Torch Singer, so it’s obvious that this kid had something going on back in the day. She left the movies at age 18 in 1945 to become a housewife in Phoenix– which made her extraordinarily happy. The lovely Cora Sue was escorted into the area and seated at a table. Her leg was propped up (she’d broken it the day before and had it in a cast) but the look of wonder and the twinkle in her eye was unmistakeable. 62+ years later, she still had a loyal contingent of people utterly captivated. In case you were wondering if I was the only person taking pictures and/or video. 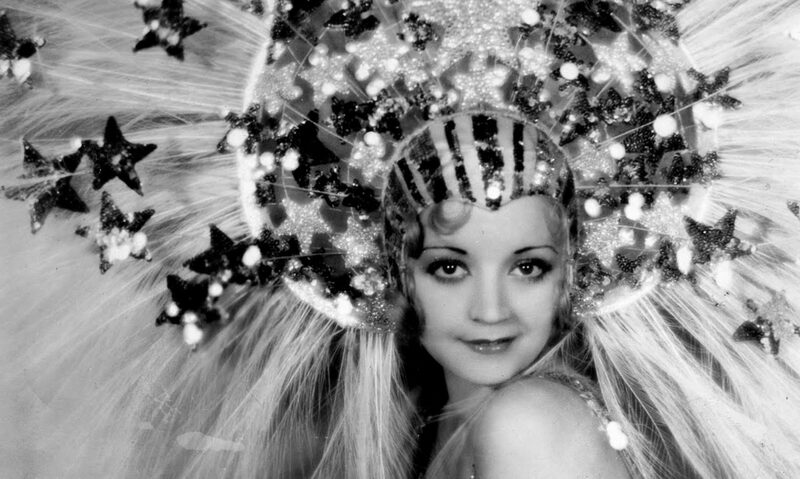 She showed off a few stills and a hand carved autograph book that May Robson had given her for one of her birthdays at the studio– one which involved Mayer ordering a wide variety of stars to attend, so got to see dozens of famous names on paper, including Jean Harlow’s famous scrawl. The venue wasn’t ideal (and neither was my quickly deteriorating sense of consciousness, I’m sad to say), so much of the conversation I missed– luckily, it was recorded for posterity by a few and I’ll link to as soon as it shows up. But you could tell how thrilled she was, as her talk ran past the planned hour and spilled into a second, with her gladly recounting stealing Judy Garland’s first role, the pranks Lewis Stone played, her love of Lucille Ball’s cookies, and much more. Another shot of Cora Sue with Kelly to the right. For me, as someone who covers films with a very dwindling population of surviving players, it was the first thrill I got out of the trip, a very real moment where I got to reach out and touch history. Though I didn’t literally touch her, in my state I probably would have accidentally broken her in half. I couldn’t get into the special TCMFF event of the evening, an interview with Angie Dickinson, which is okay because I’ve never seen “Police Woman” and I feel like I’d be taking up a space for the real fans. The Roosevelt Pool at night. Most of the denizens who surround it during the day are not who I’d expect– namely young people who must have ungodly amounts of money which is readily reflected in their copious tattoos and revealing swimsuits. I mean, I’m not complaining, but it was not what I was expecting. I instead hopped on the Los Angeles subway and headed to the friend’s apartment where I’m staying. I was surprised how safe LA felt away from Hollywood Boulevard, though cleanliness would not be high on its list of virtues. In fact, the subway system itself felt like it was built in 1993 and promptly forgotten about shortly after the True Lies premiere. But that’s okay. It’s not a major American metropolis if you don’t get to celebrate the smell of urine in public places, and that really is what TCM Film Festival is really about– bringing people together to smell urine. Wait, no that’s not right. Let me recheck the website– oh, classic movies! Those are great too! TOMORROW’S UPDATE: TCM Bus Tours, drinking, Julie Andrews from across the street, Queen Christina, and more of whatever it is I’m doing. Smelling urine? Sorry, Fella! The Ewe Boll festival is next week. How would you feel about a themed festival? Jean Harlow pictures, or classic press movies (which might bring together “The Front Page” and “Mystery of the Wax Museum”), or Italy and Fascism as seen (or ignored) in Hollywood in the ’20’s & ’30’s. I went to a pre-Code specific festival at the Roxie which was great, and I love it when festivals give people a chance to explore one really tiny niche extremely thoroughly. I think George Eastman House did something like that with films from their Dawn of Technicolor book, which would be wonderful as well. I’d be surprised if there hasn’t been a festival centered around newspaper reporters on film, since that gives you so much to work with from every decade. The others you mention would also be a lot of fun. I think the problem for a lot of programmers isn’t coming up with great ideas, it’s getting the films and then getting people’s butts into seats. Previous PostPrevious Pre-Code Movies on TCM in April 2015 and Dates for the Pre-Code Blogathon!